Christmas is one of the biggest events of the year and we know how much of a headache it can be to organise a get-together, be it a private dinner with your loved ones or corporate parties involving hundreds of guests. When it comes to Christmas parties, one of the major components when it comes to planning is food—and it can make or break your party! Having to please everyone’s taste buds is not an easy task but yes, we are telling you that it is possible to have a fuss-free Christmas party without going through much hassle. 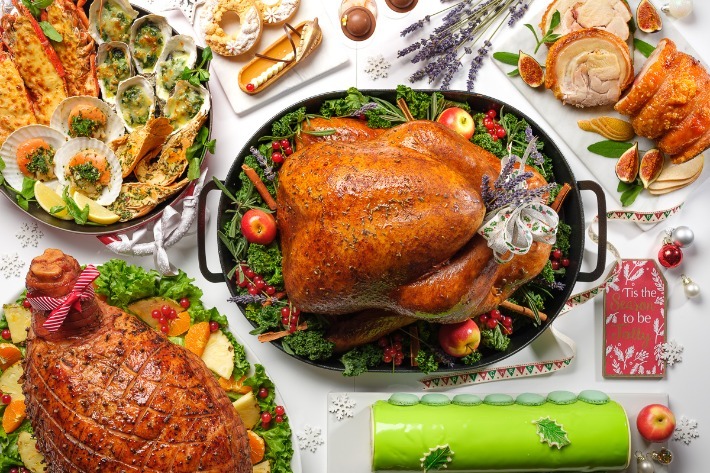 For Christmas this year, Orange Clove Catering is collaborating with Celebrity Chef Eric Low who is leading the festive theme buffet ‘A Christmas Full of Life’, with six exclusive creations that are bound to impress your guests. Who says that catered food has to be boring? We beg to differ! With over 100 caterers offering the best prices, Singapore’s biggest catering online portal FoodLine is indeed every host’s fairy godmother. Festive seasons can get overwhelming at times, and dining out with the crowd sounds dreadful. Then, there are house parties and not everyone has the time (and patience) to stay in the kitchen to cook. We belong to all the above categories, and this is when FoodLine comes in especially handy – for us, and all of you who share the same concerns. From now till 31 December 2015, readers of ladyironchef are entitled to S$30 off all online catering orders. 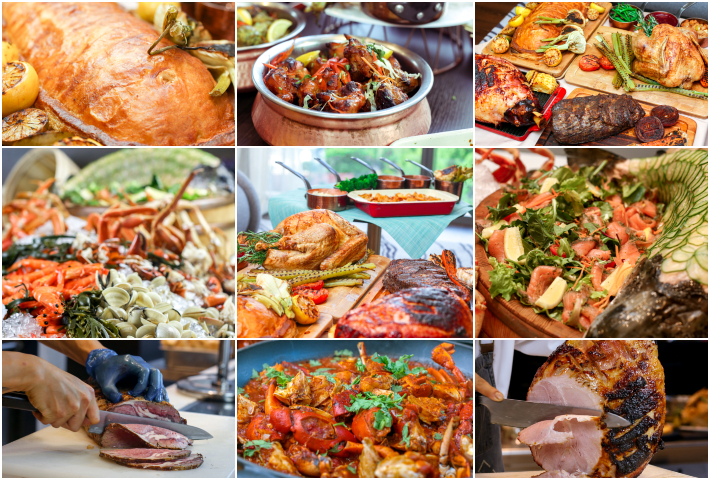 There will surely be a caterer for all your party needs, and you should read on to find out more about the exclusive coupon code, as well as more of what FoodLine has to offer. Think mini party sets and large-scale buffet setups; FoodLine’s 100% Satisfaction Guarantee options will easily have your festive gatherings covered this Christmas. In your hectic work life, simple tasks like getting a birthday cake can be a pretty difficult one, especially if you need one at the eleventh hour. And we want to share a delivery service with you that might just be your answer for such situations – FoodLine. FoodLine specialises in delivering birthday cakes to you; it is simple and hassle-free, and it saves you the job of grabbing one from stores. From 5 September 2015 to 4 March 2016, enjoy free delivery for all birthday cake orders on FoodLine. We used to not know how to reply such questions, until we found faith in Orange Clove - a proud winner of “Best Corporate Caterer” and the Overall Winner for Singapore Prestige Brand Award – Promising Brand Category. We’ve heard so much about them, and friends have always sang praises of their service and quality. We’ve sampled, and we now understand why they are a perennial favourite when it come to catering. Whether it is a corporate celebration or an intimate Christmas party with your family and loved ones, Orange Clove will make you the hero for your party and event, with its Christmas menu providing options that will fit every tastebud and budget. Throwing a party for a big group and have yet to start on the planning? Not to worry because Orange Clove will come to the rescue and make you the hero for your party and corporate events. 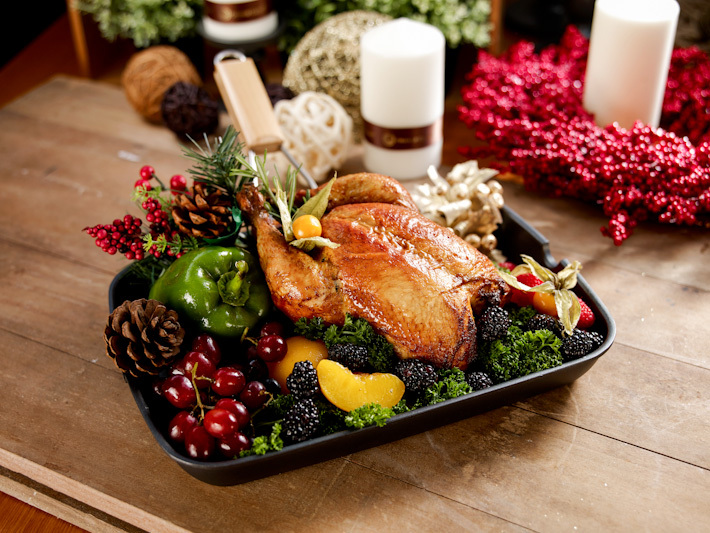 This year, Orange Clove has come up with three different Christmas menus that range from S$25/pax to S$45/pax.